Dependency Injection with dynamic constructor values is another example for the power of Magento’s DI configuration, here in combination with external libraries. In Magento 2 Layout Events: controller_action_layout_render_before vs. layout_render_before I ponder about how to make dynamic changes to the layout. The conclusion is not to use these events at all. (Magento 1) Geo IP based store view selection with Varnish – has been answered but I’ve yet to try it out to get to a full solution. Dependency Injection with dynamic constructor values – how would you pass constructor arguments to dependencies? Reasons to use the layout when instantiating blocks programmatically: Dynamically created blocks: layout->createBlock() or blockFactory->create()? How to translate core Magento modules and create a CSV translation file per module? – short answer: you don’t. Why you shouldn’t use HTML encoded characters everywhere: How to import product name with ™ and ® symbol? A little explanation of the relation between cron.sh and cron.php: Is adding “$isShellDisabled = true; ” in “cron.php” recommended? How to purge (delete) credit card numbers stored on Magento 1.9.1.0? How to use database transactions in Magento 2: Magento 2 – Database transaction for multiple model / resource model objects? A step on my journey to understand Magento 2.1 search engine adapters: Does layered navigation always have to use the configured search engine? Raphael from DigitalPianism came up with this question: Magento 1: how to make an extension EE compatible?. I started to answer it with a few bullet points but it could do with some more attention. I’m a bit late but I was quite active on the Magento StackExchange recently, so here are the best posts from last week! A practical example for increment models (order numbers should be incremented by 4 each time): How to set order increment id iterator in magento 1? Canonical answer for transactional emails: How to send mail from custom module? Canonical answer for controller overrides: Magento 1 : how to override/rewrite a core controller class? Indexer “updated” column not updated? Reasons to setup cronjob for setup:cron:run and update/cron.php on a deployed production system? Short and sweet: StackExchange posts of the last two weeks. What should you do if SQL queries start appearing in the search suggestions: Spam bots & SQL Injections – How do I stop this? Good question: What does the “persistent shopping cart” actually do? I’m not so sure anymore: Does Persistent Shopping Cart work for guest (unlogged) visitors? Good question for understanding “MVC” in Magento: Why does Magento need blocks?. There was a similar question once here: Where’s The V in Magento’s MVC? And is there better name? How to define a custom search engine: Magento 2: what is the search_engine.xml? How to declare a new search engine? I plan a separate blog post on this topic soon. A reminder, to prefer theme.xml over local.xml: Is it possible to include a parent local.xml? 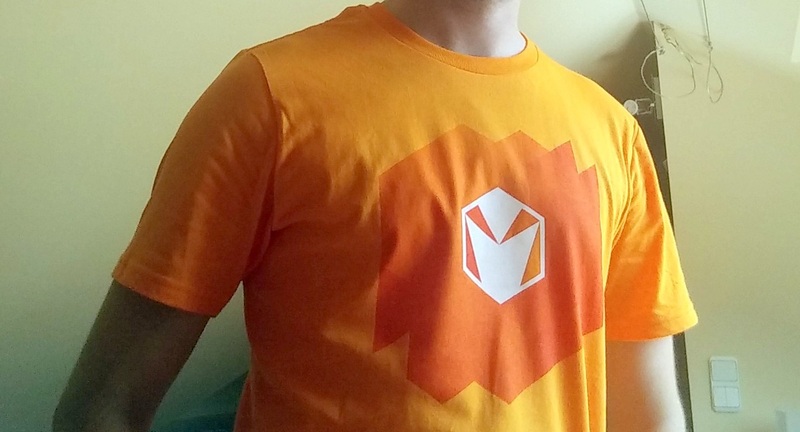 17.-18.6. was the 5th (+/-1) MageStackDay, an online hackathon dedicated to the Magento StackExchange site. It was originally initiated by the community to get the answer rate up and finally get out of beta status (which had hard requirements originally, like an 80% answer rate). upvoted existing answers with 0-votes, because questions count as answered if they have either an accepted or an upvoted answer. But since we “gradudated” out of beta recently, just working towards some numbers doesn’t seem right anymore. After all, the primary goal should be to increase quality. Marius asked a good question on Unit testing source models. Besides my answer on this concrete case, the elaboration by Vinai on “Should I test X?” or “How should I test X?” is a valuable advice for everybody. A question on logic in the frontend: Where should i put my function if i need it only in one Template? Raphael (DigitalPianism) asked, what’s the status of M2 regarding PSR compliance? (not PCI!) and I gave an overview as far as possible. Obviously, the PSR-8 Huggable April’s fool is only implemented by the community! A question on testing time dependent features in Magento 1: How to change magento date/time. The “mock time()” trick does not work due to lack of namespaces. Are “please write code for me” questions on topic here? To be continued: Feel free to chime in!